IngridPresley's Entry 2014. This is my drawing for the Disney movie Lilo and Stitch! 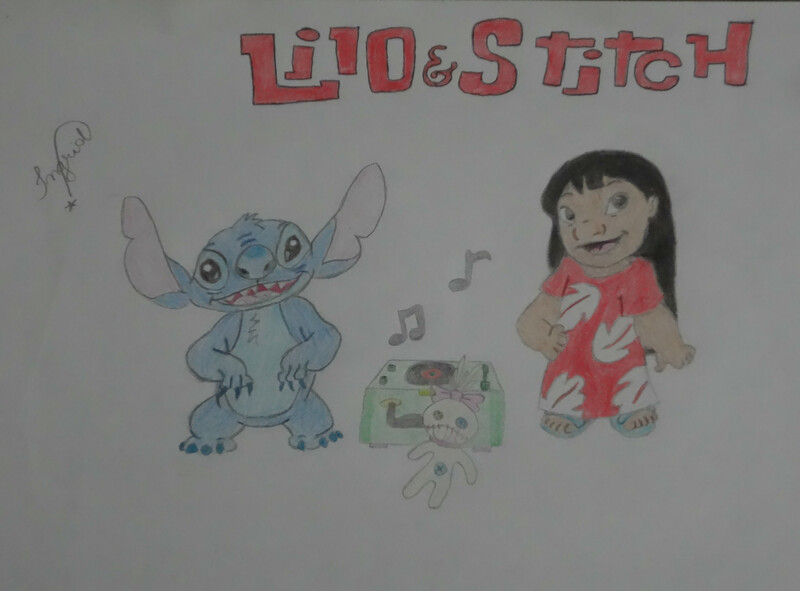 You can notice that Scrump, Lilo's doll, is there too!. HD Wallpaper and background images in the fanpop's got talent club tagged: photo ingridpresley fanpop's got talent 2014 fgt 2014 drawing disney characters.